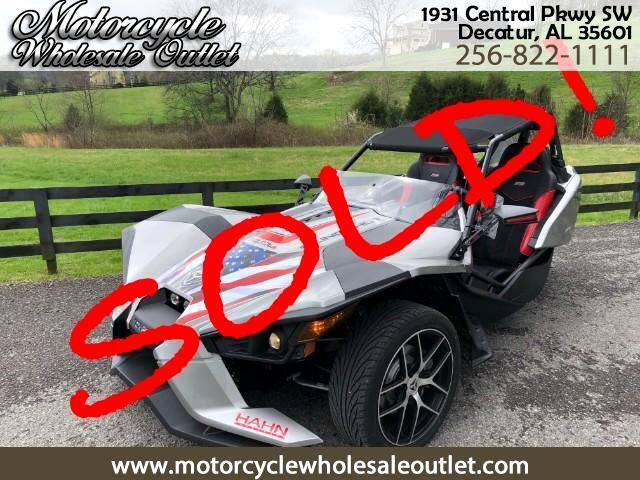 Better than new Polaris Slingshot SL w/ over $5000 spent in extras WP Exhaust Soft top QA1 Adjustable suspension all around Bluetooth radio and upgraded speakers Custom Seats Anodized cup holders American flag decal kit All of this and under 1700 miles and ONLY $17500 WHY PAY RETAIL?? Some of the most fun you will have on 3 wheels!! Don't like attention...do not buy this one!